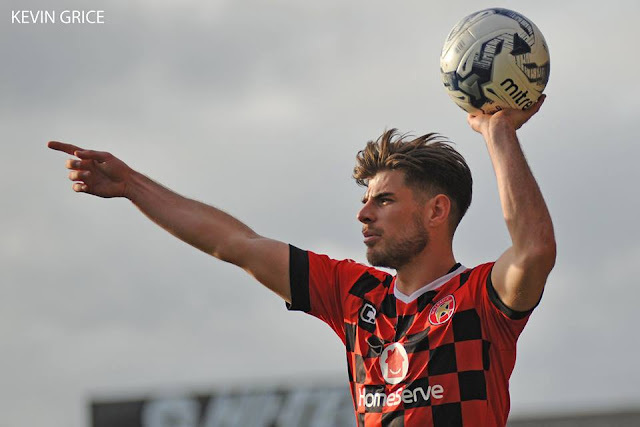 Edwards - "We Want to Make the Banks’s a Fortress"
Saddlers vice-captain Joe Edwards wants to make the club's Banks's Stadium a fortress. Walsall vice-captain Joe Edwards has spoken to club journalists ahead of this afternoon's League One clash with Plymouth Argyle and discussed his desire to make the Banks's Stadium a fortress, before calling upon Saddlers fans to cheer them to victory. Joe, who was speaking via Saddlers.co.uk, said; "It will be a tough game. They’ll bring a good crowd and they’ve got a good following so that will give them confidence as well. But at home we’re feeling really positive. We want to make the Banks’s a fortress and our home form to be the catalyst for us this year. It’s a great opportunity for us to get another win and three points." 26-year-old Edwards then went on to praise Saddlers supporters for their backing during last weekend's three-all draw with Bradford City before calling upon them to keep on backing the boys, he continued; "The crowd are a big factor for us. It was so nice to see them still supporting us at 3-0 down it made a massive difference. They could easily have got on our backs, but they stuck with us the whole time and it gave us that extra momentum. "Kicking towards them in the second half really does help. It feels like they draw the ball in when we get corners and free-kicks. With them on our side, we can hopefully do well this year."